Below are updates from around the community. Please share these with others you know and feel free to forward notices of your own for inclusion. 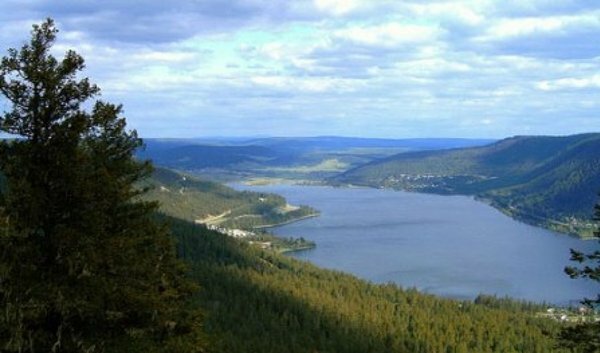 The Social Planning Council of Williams Lake and Area Society (SPC) is a not-for-profit organization created in 1995 by a group of passionate volunteers who were dedicated to improving the social well-being of residents and families in the Williams Lake area. Today more than twenty-three years later, this Society thrives with an excellent reputation and an established, and growing, network of participating citizens and organizations. Our focus is to build a healthy, vibrant community with a strong social and economic foundation, and we have some exciting projects on the go. Based on feedback and information from you, organizations and members of the community, we have zeroed in on some key priorities and strategic initiatives: Thrive Williams Lake, our poverty reduction strategy; Communities that Care, a collaborative community effort to improve the health and well-being of children and youth in our community, initially launched by the SPC in 2008; and opportunities for networking and information sharing. We also hope to offer a community development and adaptive leadership workshop in the fall in response to needs expressed by our members. It‘s an exciting time to be involved and we‘d like to get your input on how we can continue to support and engage you and/or your organization. This survey will take 5-10 minutes to complete. Your feedback is important; it helps us plan activities that are relevant and supportive of the work you do. It's still Smile Week at Tim Horton's - Buy a Smile Cookie from our local Williams Lake Tim Hortons and the full $1 will be donated to support the Cariboo Chilcotin Child Development Centre! Women's Contact Society's annual Diamond Dinner at Signal Point Gaming is taking place on Saturday Sept 29th. Get your Diamond Dinner tickets if there are any left! Call the Womens Contact Society at 250-392-4118 or the Child Development Centre at 250-392-4481 for more information. Auctions - Raffles - Door Prizes - Diamond Draw (Net proceeds will support the Good Food Box and the CDC Partnership with Autism Programs). We apologize in advance if they are already sold out! $3 donation entrance fee per person (but no one will be turned away for lack of funds). There will also be a concession stand available. This is a family friendly event with the film starting between 7:00 - 7:30 pm. This event is brought to you by the United Way, and sponsored by local organizations. A Family style barn dance at the Historic Onward Ranch with the Cariboo Chilcotin Youth Fiddlers featuring Ingrid Johnston and 2018 Order of Canada recipient Gordon Stobbe Saturday, Sept 22nd - doors open at 6:00 pm (music starts at 6:30 pm). Tickets available at the Open Book store for $5 per (kids 5 and under are free). Concession available. Made possible with support from the Central Cariboo Arts and Culture Society, Cariboo GM, TRU and Coast Hotels. Every year, thousands of volunteers and participants gather at Kidney Walks in communities throughout BC & Yukon to raise awareness and funds for those affected by kidney disease. Patients, caregivers, medical professionals, family members, and other caring and compassionate individuals participate in the Kidney Walk to help support innovative and ground-breaking research projects and to offer crucial programs and services to the thousands of people living with kidney disease. Last year more $348,000 was raised to better the lives of people living with kidney disease throughout BC & Yukon. This year our goal is higher $400,000. We need your help to make this happen! Visit www.kidneywalk.ca for more information. Know someone in our community who wants to learn and practice English? Speak English and want to help someone learning English converse better? Then come to the CCPL's Immigration-Settlement branch's Conversation Circle on "Rock Talk" on Tuesday Sept 25th from 5:30 - 7pm. This is a FREE event including on-site childminding so bring your children along! Contact Maryna for more info at 778-412-9333 or visit the office in person at 118C - 1st Ave North in downtown Williams Lake. The Central Cariboo Arts and Culture Society is dedicated to supporting arts and culture within the Central Cariboo Region, including the management of the Central Cariboo Arts Centre. Our employees enjoy being at the forefront of arts and culture matters in the region and engaging with the many groups and individuals who make up the fabric of our arts and culture industry. Part-time (15-20 hours/week). Some flexibility may be required for the odd evening/weekend. Wage starting at $18/hour (negotiable depending on skills and experience), with flexible benefits after successfully completing a three-month probationary period. Reporting to the CCACS Executive Director, the Arts Centre Administrator will be responsible for management of the Central Cariboo Arts Centre and will work with the Board and Executive Director to effectively manage an accessible, multi-use arts and culture facility, in full conformity with CCACS policies. The right individual will have the opportunity to expand and grow within the organization. -Manage the day to day Arts Centre bookings and calendar. -Respond to inquiries and advise users regarding space and equipment availability and usage. -Generate contracts for all groups renting space in the Arts Centre, including tenant lease agreements. -Ensure that all Arts Centre policies and rental agreements are clearly communicated to all users and monitor users‘ compliance with them, and to provide recommendations for policy improvements, implementing approved recommendations as required. -Coordinate information exchange between facility users and the Executive Director and ensure that user communications (requests, suggestions, complaints, etc) are brought to the Executive Director and, if necessary, routed through her to the Board. -Recommend and coordinate special security requirements as needed. -Be familiar with relevant provincial and municipal health and safety policies and regulations, provide information on them to users and monitor compliance with them throughout the facility. -Conduct tours and provide information about the Arts Centre to users and the general public. -Report monthly to the CCACS Board of Directors via written reports, and in person when invited to do so. -Perform minor maintenance/improvements to the facilities and manage contractors in accordance with CCACS policies. -Seek and apply for facilities funding, as required, and follow through with funders‘ requirements. -Manage the CCACS calendar of arts activities within the Central Cariboo. -Organize training workshops in collaboration with the Executive Director. -Regularly track and report quarterly on the diversity and frequency of use of the Central Cariboo Arts Centre. -Other duties as identified by the CCACS Executive Director/Board of Directors. There is room for the position to cater to specific skills and experience. -Superior organizational and multitasking skills, with a keen attention to detail. -Excellent written and oral communication skills, to individuals and groups. -Demonstrated ability to work as part of a team and disseminate information as required. -To work effectively with minimal supervision. -Skills in problem solving and helping clients to find solutions to problems they may experience in using the Centre. -Experience and adaptability in using a variety of computer programs and online tools such as Word, Excel, Facebook, scheduling and email applications (primarily Apple platforms). -Knowledge of the regional arts & culture sector and organizations, or willingness to quickly acquire such knowledge. -Experience in writing successful funding proposals and follow-up reporting an asset. -Education in areas such as facility management, administration, leadership, communication and/or community development an asset. The equivalent combination of education and experience will be considered. For more information visit centralcaribooarts.com. Applicants should send a resume and cover letter outlining how they meet the specific requirements of the position to info@centralcaribooarts.com by SEPTEMBER 26th 2018. They're back! Both Babytime and Storytime return to the library after their hiatus due to the Summer Reading Club. Babytime runs every Friday at 2:30 pm for ages 0 to 2 years and their caregivers. Starting September 7th (this Friday), it's a 30 minute program of rhymes, songs, stories, puppets and parental bonding held in the library's Programme Room. Storytime runs every Tuesday at 10:30 am for ages 2 to 5 and their caregivers. Starting September 11th (next Tuesday), it's a 30 minute program of rhymes, songs, stories and puppets held in the library's Programme Room. Please note that the last Tuesday of the month may go a little longer than 30 minutes as it will include a craft related to the week's theme. Registration for the last Tuesday is suggested just so we can have enough materials for the craft. Call us at 250-392-3630 to register or visit us at Suite A - 180 North 3rd Avenue, Williams Lake, B.C. Free language classes for newcomers to Canada start again on Monday, September 10th at the Cariboo Chilcotin Partners for Literacy office at 118c North 1st Avenue in Williams Lake. Stop by the office between 8:30 am - 3:30 pm, call 778-412-9333 or email susan@caribooliteracy.com for more information. We have day-time classes for Beginner, Intermediate and Advanced English learners. If you can't come to a day class, ask about the evening Conversation Circle. The Old Age Pensioners Organization Branch 93 is hosting a gently used Fall & Winter clothing ( mens, ladies, plus and children) sale on Sept 28 & 29th (Friday & Saturday) with a simultaneous garage sale at the Seniors Activity Centre (lower level) from 9am - 3pm both days. Everyone is welcome! Only 20 spots are available for this Gaming Grant Workshop with Marvene Layte at Community Futures in Williams Lake on Sept 27 & 28th. Is your organization applying to the BC Community Gaming Grant Program? If yes, this workshop is for you. Note - you do not need to come to both. If you participated in a past workshop with Marvene, and have an application draft you only need to RSVP for Part 2. Ready, Set, Learn, School District No 27 and the Early Childhood Development Network Williams Lake presents this year's 3 Year Old Round-up in the Gibraltar Room on Saturday Sept 29th from 10am - 1 pm for games, snacks, giveaways and information from community service providers about early childhood development. Please bring an adult to this special event. On an annual basis the City of Williams Lake provides Grants-in-Aid to local non-profit organizations for projects, activities and events that strengthen and enhance the well being of the community, promote volunteerism and support the goals and priorities of the City of Williams Lake. Indoor vintage yard sale, Saturday Sept 29th at the Potato House from 7am -3pm - What treasures will you find? Communities That Care is a collaborative community effort to improve the health and well-being of children and youth in our community. CTC is an evidence-based program model which uses data-based decision making and focuses on promoting positive and healthy youth behaviour, while understanding the root causes of negative behaviour. CTC was launched in 2008 as a partnership between Social Planning Council, the City of Williams Lake and the Ministry for Children and Family Development. Since 2010, School District #27 has hosted the office and administration for the project, and we are thrilled to welcome this important initiative back into the SPC network. The Social Planning Council recently launched the Thrive Poverty Reduction project in partnership with Cariboo Chilcotin Partners for Literacy, and sees the CTC and Thrive initiatives as complementary. The Social Planning Council Board of Directors are excited to be taking the lead in the next steps and ongoing support of the Communities That Care initiative in support of SPC‘s focus on the work of building a healthy, vibrant community with a strong social and economic foundation. This is an excellent opportunity for someone who wants to work in community development in a new, dynamic environment and in a growing, purpose focused organization, with an excellent mentorship team in place for support. The power of the CTC model is in the collaboration between and among individuals and community organizations who work together to make changes in the way we support children and families. The role of CTC facilitator is to support this work by maintaining and developing relationships, processes, and actions that contribute to working toward a common goal of healthy children and youth. This is a limited term, contracted position for two years, at approximately 15-20 hrs/week with opportunity for continuation based on funding availability. Some flexibility will be required as there are busier and quieter periods of workload seasonally, and this offers the opportunity for extended time off during summer months. As a contracted position, we also offer the opportunity for the CTC Facilitator to negotiate work from home options for a portion of the time. Remuneration is in the range of $30-40 per hour and will be negotiated based on the skills and experience of the successful applicant. Social Planning Council has a strong commitment to securing ongoing funding for this project into the future. The position is open until filled, with a projected start date before the end of September. An information session about air quality is taking place on Thursday Sept 27th from 9 am - 12 pm at Scout Island Nature Centre. This workshop, led by Ralph Adams (Air Quality Meteorologist for the Ministry of Environment) will answer each of these questions using examples local to Williams Lake. It will not be overly technical: anyone who is interested in air quality can participate. The morning session will be broken into sections with breaks, and there will be ample time for questions and discussion. Ralph will be available after to answer additional questions and discuss the MOE monitoring programme and results. Space is limited so please RSVP to airqualityscoutisland@shaw.ca or call 250-398-8532 for more information. Calling all kids who love to build. The public library has a free Lego Drop In on Thursday October 4th and October 11th from 3:30 to 4:30 pm in the Programme Room. Build what you like and we will be happy to take pictures of any finished creations and post them in our library. We have blocks for younger siblings to also be included. This program is for ages 0 to 12 and parents of any child five and under are asked to be in the Programme Room or library during the session. A big thanks goes out to The Realm of Toys in Williams Lake for providing us with the Lego. Don't forget to check out their new location on the corner of 2nd. Avenue and Oliver. It's amazing. Looking forward to meeting the builders and seeing all their creations! Tour de North is an endurance cycling event that takes place each September, where a team of RCMP members and Emergency Services personnel from across northern BC brave all types of weather as they ride 7 days from Williams Lake to Dawson Creek. The Tour stops in every community to connect with citizens and school children especially. Tickets are $100/person or $800 for a table of 8. We invite all community members to join us for a night of dinner (7pm), dancing and silent auction - fundraising for a great cause! The event is Formal Attire. We live in a world of constant and accelerating change. Our systems and organizations are all struggling to adapt to this new reality, but tightening belts and getting on with business isn‘t working as well as it used to. Innovation strategies allow us to design programs and services that are adaptive and responsive to this new reality, are more sustainable, and at the same time reflect the specific and unique needs of our communities. Adaptive leadership approaches offer a new way of responding to challenges. Adaptive Leadership is the practice of mobilizing, motivating, and organizing people to tackle tough challenges and thrive. More details and information will be available shortly, but let me know if you are interested and you‘d like to be added to the list for further information. The Social Planning Council of Williams Lake & Area thanks the City of Williams Lake and the Thompson Nicola Cariboo United Way for their funding support. Please add spc-coordinator@xplornet.com to your address book or safe sender list so our emails get to your inbox. Social Planning Council Box 20045, Williams Lake BC V2G 4R1 Canada.